We are located 5 minutes from Peninsula Link. 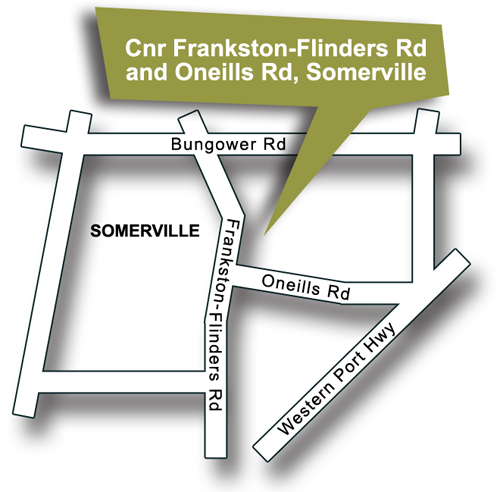 Take the Somerville exit and travel down Frankston Flinders Road. Enter 1385 Frankston Flinders Road, Somerville in your GPS and we are just a bit further up from there. ​Look out for our big dinosaur who welcomes you at our entrance gate.